Rodents are considered obnoxious creatures by most households, and rightfully so. Unlike other pests , rodents possess the ability to inflict more damage to the house and domestic items and articles. Mice, rats, moles, skunks and voles are some of the domestic rodents usually plague the residential areas. They are notorious for overrunning and destroying the outdoor spaces of the house. This is especially true if you have this space adorned with lawns and gardens; in which case, rodents can wreak considerable havoc. They destroy the foliage of the shrubbery and excavate the turf. 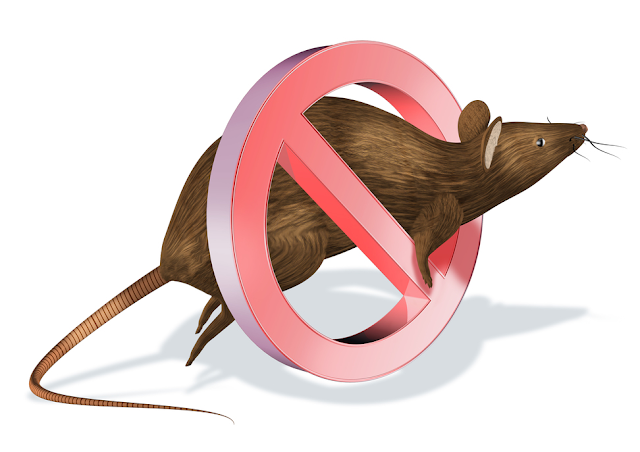 Rodents sometimes also become the carriers of other pest infestations (mites and fleas, etc.). Keeping rodents away from your property is necessary maintaining the curb appeal of your sanctuary. Here are some ways you can use to keep them away from your lawns and gardens. If you don’t want to kill the rodents but want to clear your lawn of their presence then humane traps can solve your problem. These traps capture the rodents without harming them with the help of baits. Once a rodent gets trapped, take the trap and release them in some wildlife space or put them in an animal center. These type of traps can easily be purchased from a lawn care or pest control store. If you want to keep rodents at bay in a non-killing way then make their habitants unlivable for them. For instance, put some mothballs where you have noticed mice or rat droppings in your lawn to keep them off your property. If your lawn is infested by moles, then you can fill up their tunnels with gravel and stones so that they can’t stay in there and left with any other option except leaving your property. Mothball and gravels are available on stores dealing in lawn care products. Using rodent scram in your lawn is another humane way to keep the rodents away from your property. Scrams are a granular substance, available from pest control stores, with unbearable smell and taste for rodents. Spreading them throughout the turf of your lawn will make the whole space a no-go area for unwanted rodents. If your lawn is severely affected by this pest infestation, then friendly ways might not help you in making your lawn rodent-free. If you are taking care of this problem on your own then some stern measures should be taken to get rid of this pest problem. To get rid of rodents within a span of few days, poisonous baits can be put in the lawn space. Usually, food items loved by rodents are mixed with different rodenticide products to poison them. You can easily get different labeled rodenticides from a good lawn care store. Killer mechanical traps can also be employed along with baiting to get rid of the rodents from your lawn as soon as possible. Keeping your lawn or garden rodent-free will enable you to use the space as per your needs and desires.